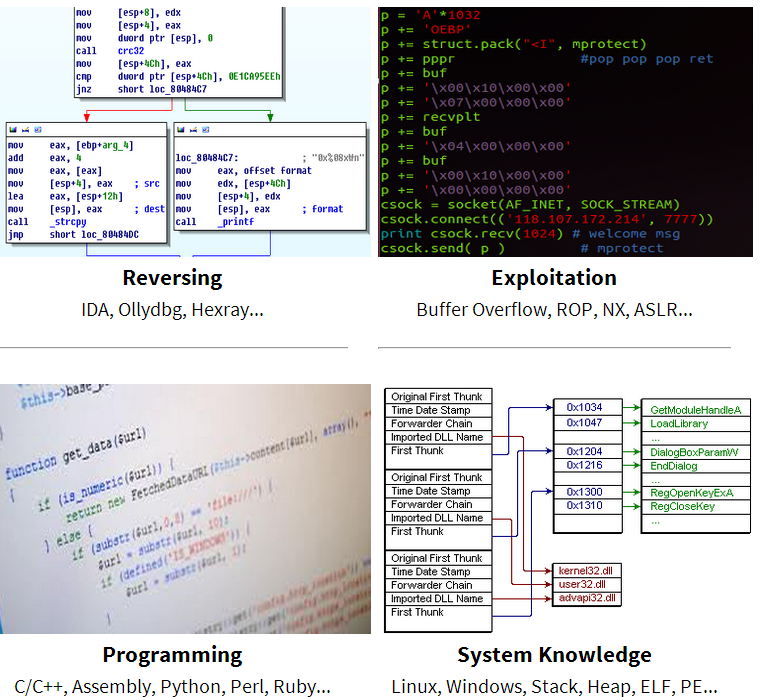 Well this post is to share with you an amazing site saw in #pwning channel ,I say that because in this site we can practice all the important aspects (Reversing, Programming, System Knowledge and Exploitation)it has a special thing where you need to know about Gnu/Linux Operative System and it is intended for students,professionals and enthusiast of Information Security. Toddler's Bottle: Tasks for beginners. Basic tasks for pwning. Somewhat educative. Rookiss: These tasks suffers from typical rookie mistakes regarding computer security. Grotesque: These tasks are somewhat difficult to exploit, you need to buckle down and focus to solve these tasks. Hackers's Secret: Advanced system knowledge is required for pwning these tasks. Being smart isn't enough. The learning process is part of you , here you'll need to do the proper homework , it can overcome the limitations imposed by the concept of tacit, also the fun thing is the key to pass some of the challenges. Play Just for fun not for profit.